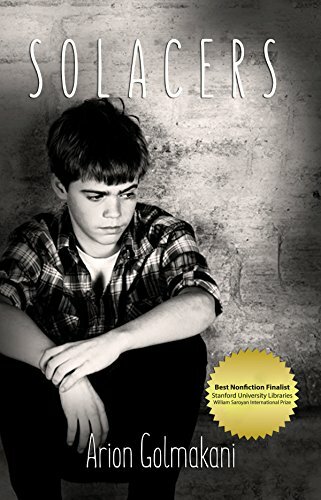 DESCRIPTION: (from Goodreads): Solacers tells the touching story of a boy's search for family life and safety following the divorce of his parents in Iran during the 1960’s. The first child of a heartless father and a discarded mother is left to fend for himself on the streets of Mashhad, seeking food and shelter wherever he can. His lonely early years are an unbelievable tale of cruelty and betrayal on the part of nearly everyone who might be expected to help, save for one aunt who does her best to keep him from starving. But living a harsh and solitary existence has one advantage for this little boy: other than forcing him to be self-reliant, no one attempts to indoctrinate him on Iranian society's archaic cultural values and religious beliefs. And so, he never accepts his wretched state as fate, choosing instead to dream big dreams about getting an education, having his own family, and starting a new life – possibly in the faraway land called America. He makes a plan and by the age of 17 he boards a plane to the land of possibilities, where his dreams eventually also take flight. MY THOUGHTS: Solacers is not an easy book to read. The author’s storytelling style is breezy and friendly enough, but the subject matter is almost unrelentingly raw. I kept having to set the book down, thinking “how could anyone treat a child this way?” As unfathomable as the behavior of most of the adults in Alireza (Arion) Golmakani’s childhood might be to me, a middle-class American with parents who weren’t perfect but were always present, it is entirely real and too common still. Poverty of the level Golmakani describes isn’t a thing of the third world countries past – it still exists today even in prosperous nations like the United States and Canada. And that’s what makes this very personal memoir so universal and so eye-opening. It is the 1960s, well before Iran’s Islamic Revolution. Alireza’s childhood is spent mostly homeless in a small northern Iranian city. He and his life are about as far removed from politics as one can get, so we don’t really get an eye towards how Iran was interacting on the world stage at the time – Golmakani leaves that to history books to discuss (except towards the end, when a nearly-adult Alireza joins the military and applies to be sent to study abroad in the United States). Th book otherwise is a very street-level look at family, city and religion and how they intertwine to keep Alireza in the horrible conditions he somehow (with the limited aid of those he calls ‘solacers’) to survive. The book’s subtitle comparison to Charles Dickens’ classic work is apt, as Alireza is bounced between his estranged parents and a multitude of foster homes and fending for himself on the street. I suspect that had Golmakani totally fictionalized the story, reviewers would have said the tale was almost too Dickensian in terms of the characters. There’s the plucky street rat kid; distant but ultimately loving foster mother and brother (the true ‘solacers’ of the title, although there are points where even they spectacularly fail the boy); the brute of a birth father who physically and emotionally abuses everyone; the heroic stepfather with feet of clay that prohibit him from being the man Alireza needs him to be; the loving grandfather who dies too early; the birth mother whose own abuse at her ex-husband’s and lack of self-worth enable her to abandon her son. Alireza’s relationship with any one of these people would be the stuff of awards-nominated novels and Oscar-bait films, and in real life the boy dealt with, and survived, all of them. And here’s the remarkable thing: despite how horribly most of these adults let the pre-teen and teen Alireza down, often putting him in dangerous, potentially life-threatening situations time and again, the author chooses to concentrate on the love (as limited and fallible as it was) he was given, the solace he received from sometimes unexpected quarters. He returns time and again to complimenting the foster mother and brother who made sure he got an education even though they often left him alone for the summer months, and the aunt and grandmother who occasionally were able to give him a place to sleep and hand-me-down clothes even when they were too poor to feed him along with their own families. Even his descriptions of his mother’s abandonment, moving with her new husband and children to Tehran, is tempered with a hindsight understanding of why she was the way she was (obsessive-compulsive, guilt-ridden, and beaten down). Throughout the book, it is clear that the adult Arion Golmakani is grateful for what little scraps of support and affection he was shown. 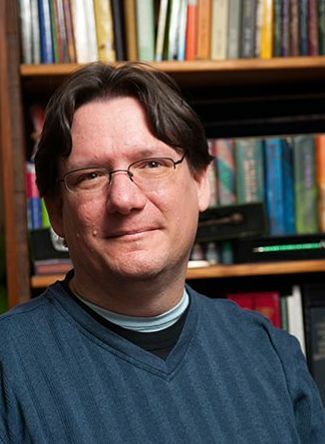 It is telling that he chooses to name the book in honor of those providers of limited solace rather than focusing on those who so drastically failed him. I marvel at his ability to see the positive in the worst situations as much as I marvel at how he managed to survive and rise above.